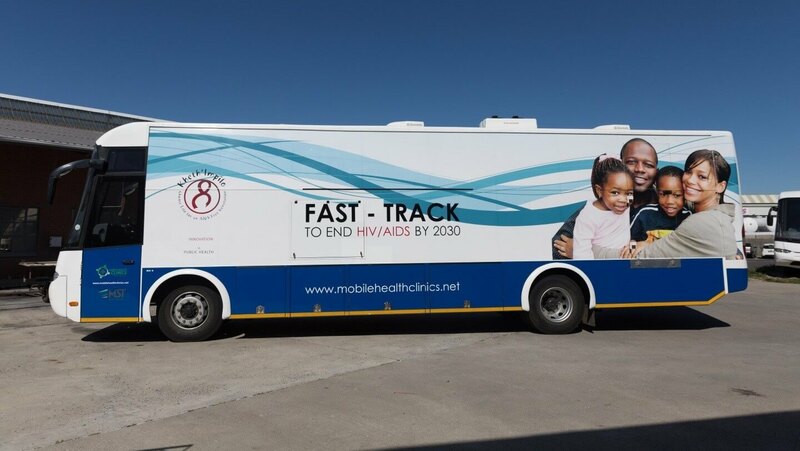 Kheth’Impilo (KI) leased one mobile unit from Mobile Health Clinics (MHC), which was used to provide HIV testing to young women and girls in the Port Elizabeth area. The laboratory section of the mobile health clinic was divided into counseling spaces with curtains to allow for privacy during HIV testing and counseling. The project was in accordance with the national She Conquers campaign, which focuses on improving the health, wellbeing, education, and career opportunities available to young women and girls of South Africa. Mobile Health Clinics provided the vehicle operator for the project Eastern Cape. Kheth’Impilo provided two alternating teams of lay counsellors who carried out HIV counselling and testing (HCT). The mobile arrived and began operations on 4 September 2017 and completed the project on 29 September 2017. Due to public holidays and weekends, the team only operated using the mobile clinic for a total of 18 days. The KI team managed to reach and HIV test 1,934 people using the mobile clinic. The average overall HIV prevalence rate over the 18 days of operation was 5.33%. This short-term project proved to be another successful collaboration between MHC and Kheth’Impilo. In such a short period of time, we managed to create a huge impact in the Port Elizabeth area. The mobile unit consistently attracts higher numbers than more traditional modes of HIV testing (i.e. in public clinics, tent-outreach campaigns, etc. ), and the onboard medical staff have reported very positive feedback from the communities they served.